At PG&E, we are reducing the environmental footprint of our facilities while providing an enhanced workplace for our employees. A growing network of employee volunteers has been critical to our progress, as they engage and train fellow employees to reduce their environmental impact at work. In 2014, we achieved ambitious five-year goals for reducing energy, water and landfill waste in our office facilities and service yards. Going forward, we will continue to execute a multifaceted strategy to invest in key facility improvements, engage employees and incorporate sustainability principles and continuous improvement into all aspects of our real estate management. We pursue Leadership in Energy and Environmental Design (LEED) certification for new buildings and large remodeling projects. Our efforts include improving the operational efficiency of existing buildings; ensuring that equipment replacement, major remodels and new facilities meet high efficiency standards; and identifying additional projects that would result in significant efficiency improvements. We also continue to engage our broader workforce, including partnering with our Grassroots Green Network that brings together employee volunteers to support energy, water and waste reduction awareness and initiatives. In the normal course of business, utility operations generate certain hazardous wastes. Waste is also created during the remediation and cleanup of historic legacy sites. PG&E manages all hazardous waste in accordance with federal and state regulations. Our comprehensive approach includes providing guidance and training to employees to reduce overall waste generated and ensure that waste is properly managed from the point of generation to its ultimate disposal or recycling. Federal hazardous waste management statutes include the Resource Conservation and Recovery Act and the Toxic Substances Control Act. In addition, our operations are subject to California’s hazardous waste management laws and regulations, which are more stringent and encompass a broader scope of waste streams. For example, wastes such as used oil are subject to California’s hazardous waste requirements. 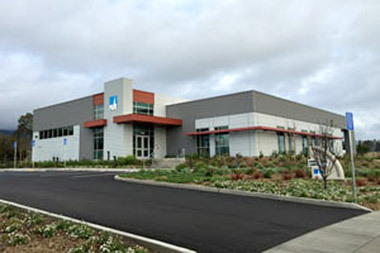 A new PG&E facility in San Luis Obispo was recognized by the U.S. Green Building Council for its sustainable and energy efficient design. PG&E is applying for LEED certification for the facility. 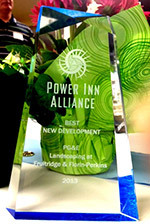 PG&E earned the Power Inn Alliance’s “Best Development” award for a landscape replacement project at our Sacramento Service Center. The project included replacing 2.1 acres of grass and other vegetation with native, drought-resistant plants and installing a storm water pretreatment system. In 2014, PG&E continued to achieve reductions in energy, water and landfill waste at office facilities and service yards—a strong finish that helped us achieve our five-year goals. Reduced energy use by 8.1 percent, exceeding our annual target of 3.5 percent. We achieved this reduction through upgrades, such as installing LED exterior lighting, and by adopting energy efficient designs during major remodel projects. We achieved significant natural gas savings by leveraging the building management system at our corporate headquarters. Overall, we achieved a 16 percent reduction over five years, exceeding our 15 percent goal. Reduced water use by 13 percent, exceeding our annual target of 1.6 percent. We are now using 48 million fewer gallons of water per year by installing low-flow plumbing fixtures, proactively managing irrigation systems, replacing landscaping with drought-resistant plants and engaging employees to reduce water use at work and at home. We achieved a 30 percent reduction in water use over five years, exceeding our 20 percent goal. Reached an 81 percent waste-diversion rate. Key steps to divert waste from the landfill included ensuring yard bins were the right size, upgrading service, adding composting and single-stream recycling at more locations and engaging employees in a friendly waste competition. Our 81 percent diversion rate over five years exceeded the 80 percent target. Achieved LEED Gold certification for our headquarters complex in downtown San Francisco—the first time the U.S. Green Building Council has awarded this honor to an entire office complex. As part of our ongoing efforts to certify new buildings and large remodeling projects we increased the number of PG&E LEED certification projects to 16, representing more than 30 percent of our building footprint. 1 The energy reduction goal is measured in million BTUs (MMBtus) and has included between 156 and 168 sites from 2010 to 2014. 2 The water reduction goal is measured in gallons and included 91 sites in 2010 and between 125 and 135 sites between 2011 and 2014. 3 The waste diversion rate measures the diversion rate in the final quarter of each year. It included administrative waste for 48 office facilities and service yard sites in 2010 and 2011. In 2012, we expanded the scope to include all non-hazardous municipal waste for the 48 sites. For 2013 and 2014, we expanded further to all non-hazardous waste at 115 sites covered by the California Mandatory Recycling regulation. We’ve also set new goals for 2015: To reduce energy use by 2.5 percent and water use by 4.5 percent while maintaining an 80 percent waste-diversion rate. These figures represent electricity and natural gas usage at 168 facilities managed by our Corporate Real Estate Strategy and Services department. 1 The data reflects the 12-month period from December to November and is normalized for weather. 2 Figures are reported in the industry standard of BTU per square foot, which incorporates all of the energy used in a facility into one comparative number. In 2014, we made continued progress toward quantifying our “water footprint.” Please see the Water and Drought Response section for statistics on PG&E’s water usage. PG&E strives to minimize the overall amount of waste generated, compost organic waste and recycle non-hazardous waste such as glass, paper and certain metals. These figures represent the total waste diverted from the landfill at 115 sites managed by our Corporate Real Estate Strategy and Services department. 1 The tonnage data reflects all of the non-hazardous municipal waste at 115 sites managed by PG&E’s Corporate Real Estate Strategy and Services department for the 12 months from October 2013 to September 2014. Recycling more than 28 million pounds of scrap iron, aluminum and copper from conductors, meters and miscellaneous material. We also recycled more than 1.8 million pounds of recovered meters, 18.7 million pounds of transformers and 310,000 pounds of plastic, including pipes and hard hats. Recycling 114 tons of e-waste, including consumer electronic devices, CPUs, monitors, servers, printers and other equipment. Recycling more than 150,000 pounds of steel and copper from Humboldt Bay Power Plant and Diablo Canyon Power Plant. The following table provides statistics on PG&E’s waste generation. While PG&E works to reduce hazardous waste, certain projects such as infrastructure upgrades or remediation of historical contamination may increase the amount generated in a given year. 1 The reduction in hazardous waste was largely driven by PG&E’s substantially completing remediation at some larger-scale remediation sites. 2 Refers to the Resource Conservation and Recovery Act (RCRA). 3 Refers to the Toxic Substances Control Act (TSCA). 4 These figures include polychlorinated biphenyl (PCB) waste < 50 ppm PCB. To comply with stringent local air quality regulations, PG&E is focused on minimizing air emissions from its conventional sources of power generation. The following figures reflect emissions from PG&E-owned generation sources. 1 Due to rounding conventions, some data above sum to an amount greater or less than the totals provided. Additionally, there were no reportable mercury air emissions from PG&E’s facilities during 2012 to 2014. With new goals to reduce energy, water and waste in 2015, we will continue to reduce costs and environmental impacts. As the drought continues in California, we also remain committed to reducing water use, with plans to replace additional landscaping with native, drought-resistant plants. We will also continue to build and renovate our offices and service centers to meet LEED energy efficiency standards, with 10 LEED certification projects under way. This includes an office building in Stockton that will house a new Energy Training Center for the public and local business operations. To support construction and major remodeling projects, we have created new workplace standards for using environmentally responsible materials and construction practices. These new standards will help us improve indoor air quality, generate less waste and increase operational efficiency over the life span of our facilities.